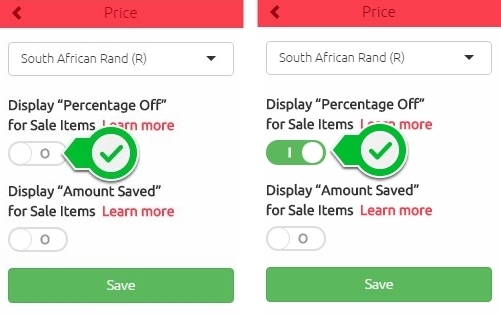 Businesses having Sales can choose between displaying the “Percentage Off” sale items or the “Amount Saved” on sale items. 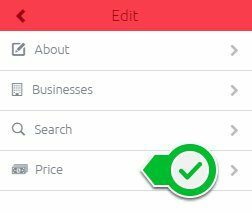 Below, we show you how you can enable the “Percentage Off”. Select the Business mode tab. Select the Sales menu and choose the Sale you would like to implement the “Percentage Off” option. Select the Settings option situated towards the right-hand side of your browser. Once the “Percentage off” option has been enabled, your sale items will be affected as depicted in the illustration below.